It seems everyone wants to be in a book club. And I get it – they are fun. They also don’t run themselves, which is why I think I’m seeing more and more people wanting tips on how to organize a book club successfully. I’ve been in my book club for ten years, and the group existed for several years before I joined. Through the years, we’ve figured some tips for book clubs that I believe have added to its sustainability. Here are five tips that have helped make our group successful. 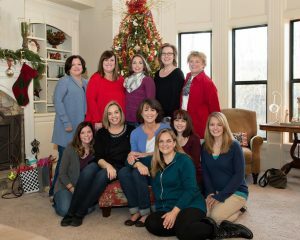 Members matter: Our group started – and remains at its core – a group of teachers and former teachers. We have some non-teachers, and I’m not saying that a group of random people can’t be a successful group, but when many of the members have the same background, it provides a foundation of similar interests, struggles and schedules (don’t underestimate this one!). It acts as a glue for the group. Also, keep your group a manageable size. Too large, and people get lost, don’t feel connected. Too few, and it falls apart when one or two members go AWOL. We have 11 in our group. Somewhere in the range of 8 – 12 feels like the right number to share responsibility, have diversity of discussion and not be too overwhelming for a host. It really is about the books: Sure we love our wine like many clubs, but it really is about the books. I know of book clubs where it doesn’t matter if you read the book or not because “book club” is more social than it is serious, more about the booze than the books. Not ours. There is plenty of the other to go around, but we come together to discuss books. If you haven’t read the book, you could feel shamed. How? See #3 part B. Put some structure around it. Groups without structure will cease to be before they get started. Have at least somewhat regular meeting dates, times, locations. Our group meets monthly, and we rotate meeting in members’ homes. We typically meet on a Wednesday or Thursday, the 2nd or 3rd week of the month. We schedule these out a few months at a time and being a little flexible in this area works for us. We’ve also structured rating books and tracking this on an annual basis. We now have years of not only what we read, but if we liked it – and even, who liked it or didn’t. It has been fun to go back and compare titles by the same author or similar books from time to time. Here’s a link to Google docs to see a sample for so far this year. Build in traditions. Things that last have traditions – cultures, families, colleges. Traditions help solidify belonging, so think about what traditions you’ll build into your club. For us, in addition to our annual “book pitch” meeting and voting, which really is something we all look forward to, we love our December meeting. Instead of discussing a book, we bring a wrapped book and bottle of wine and conduct two dirty Santa exchanges. Traditions create memories and milestones, and they provide a reason that people will want to keep coming back. Protect what makes it work. For us, this brings us back to the members. One of the things that makes our group work is that many of our best friends are in this club. We really do love each other’s company, and have friendships that span decades apart from the club. We protect fiercely membership in our group, and because of this, it has changed very little in the last ten years. Think about what is drawing your group together, make that an integral part of the club; then, celebrate and protect it. 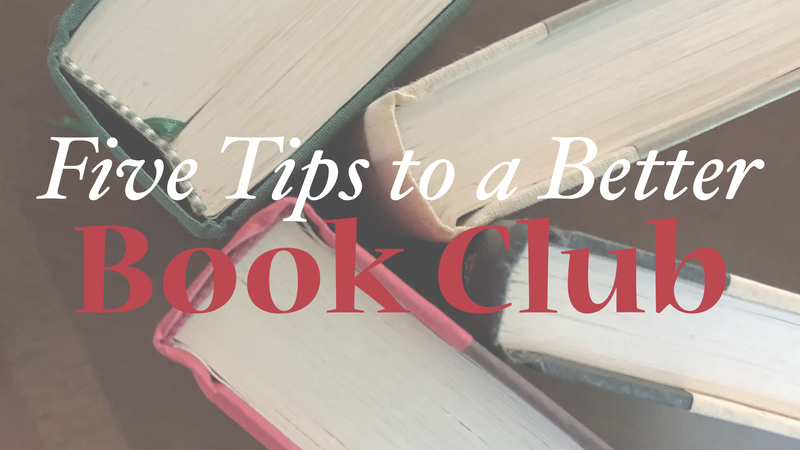 I would love to know if you end up using any of these tips for book clubs to help make your book club better! Let me know in the comments or on Twitter @elisabeth_wang.